Whether it's still hot enough to go to the pool in your part of the country or you're already seeing snow flurries in the forecast, the first weeks of fall are a good reminder that the weather is changing. With all the other changes you make to your routine during this time of year, it's easy to forget about one more thing you should be adjusting: your skin care routine. You change your wardrobe with the seasons, but did you know you should be changing your skin care habits and products too? Absolutely! 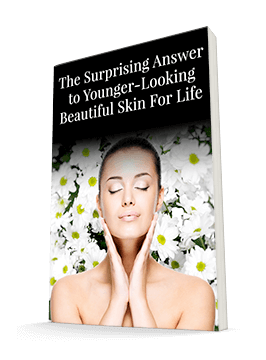 With the shifts in temperature, your skin has different needs. For example, during the summer, you need to be hyper-vigilant about SPF since you're likely spending a lot more time outdoors. And you're dealing with sweat and its greasiness. During the winter, you combat wind and cold and abrupt shifts into hot, dry indoor air. 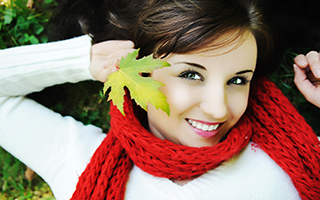 Fortunately, there are adjustments you can make to help your skin maintain a healthy glow all through the winter. You know you need to wash your face to rid it of make-up and dirt. In the summer, it was probably tempting to grab a convenient face wipe to cool down and rub sweat away. But those wipes are covered with unnatural, drying ingredients. That's the last thing you want in the winter, when the furnace is aggressively drying out your face as it is. Switch to a gentle, natural cleaner, like non-toxic Système 41's Purifying Cleanser. You want a cleanser that will wash away build-up without stripping your face of moisture the way these wipes can. And as an added bonus, you can use a cleaner like this year-round, so you'll have one less adjustment to make next autumn. Then use a rich, healthy moisturizer to help rejuvenate your skin. The wind and harsh temperature shifts can leave your skin parched. Your lightweight summer formula may not be enough to keep your winter skin plump and hydrated. Look for something richer to pamper yourself with in the colder months, such as Système 41's Day Crème. Lastly, if you live in an exceedingly dry climate, consider a humidifier — especially in the bedroom. Nightime is a wonderful time to rejuvenate and restore moisture in your skin. Consider Système 41's Night Treatment, which adds luxurious, nutrient-dense nighttime moisture. Don't let the season's colder, darker days steal your glow. You can still be radiant through the winter. Just select the right products and establish a new routine that gives your skin what it needs to weather this season well. You can find these Système 41 products by clicking here.